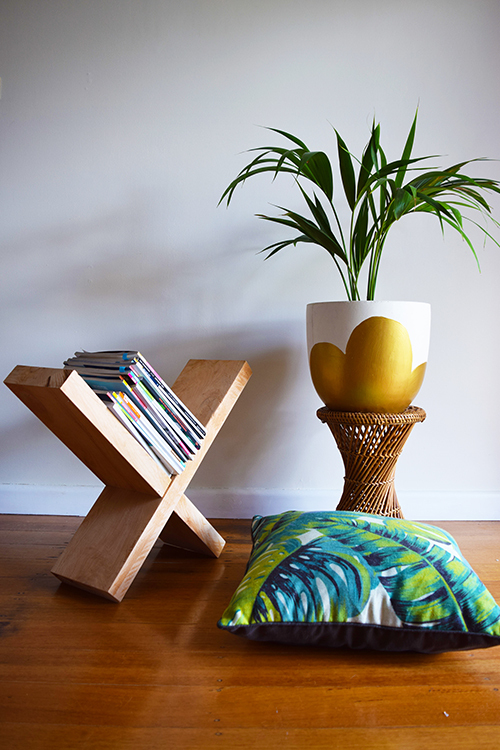 The motivation for Melbourne based homewares label, Harry & Jane, was sparked by a simple gift idea and timber off-cuts in Dad’s shed. 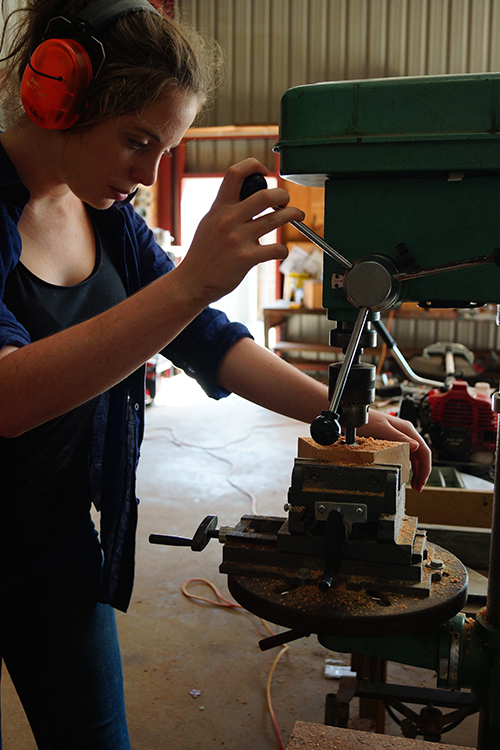 Read on to discover how builder’s daughter, Emily, launched her successful label, almost by accident! 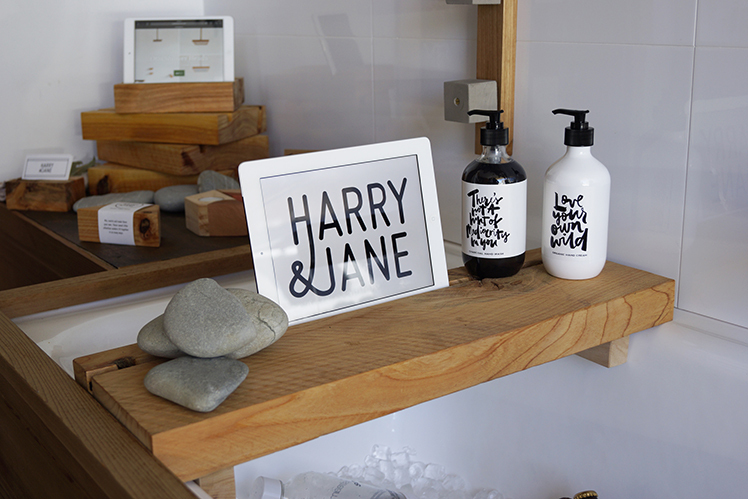 Tell us a bit about Harry and Jane and what products we can expect to discover? The ethos behind Harry & Jane is to maintain a modern and contemporary style while incorporating the warmth of natural and sustainable materials. All our products are handcrafted, which adds that personalised element to the modern design. Our homewares also embrace the unique characteristics of the timber. Unlike most other timber products manufacturers, who tend to remove imperfections so as to make their line more uniform, we embrace character and see each piece beautiful in its own way. Our range is small yet diverse, from tablet holding bath caddies to modular tea-lights, magazine stands and more. We find that with their clean beautifully simple designs ,our products suit nearly any environment. Being a builder’s daughter, I have always designed and created various pieces of furniture and décor, but never expected I would ever develop it into an actual business, until one Christmas. I was tormented (as I am every year) with what to get Dad. So I went around to see him, to see if I could get some ideas. When I walked in, there he was swearing at his iPad stand that kept collapsing. “Awesome!” I thought and I went outside and found an off cut piece of timber and got to work. Christmas day came around and Dad was so chuffed he didn’t even notice I had given him back his own bit of timber. Two weeks later, Dad’s mates started asking me for their own. It was that encouragement, combined with personal desire to help create a sustainable future and work towards avoiding the mass-produced sweatshop made products that constantly seem to be flooding our market, that encouraged me to put myself out there and offer something different. So began Harry & Jane. I don’t think there is a particular place I go for inspiration. It can come from anywhere! For example, I was at a wedding and the table design was stunning with flowers and candles. There was a kid there with lego to keep him occupied but it ended up being the dads who played with it. That is where the design for the tea-lights came from. 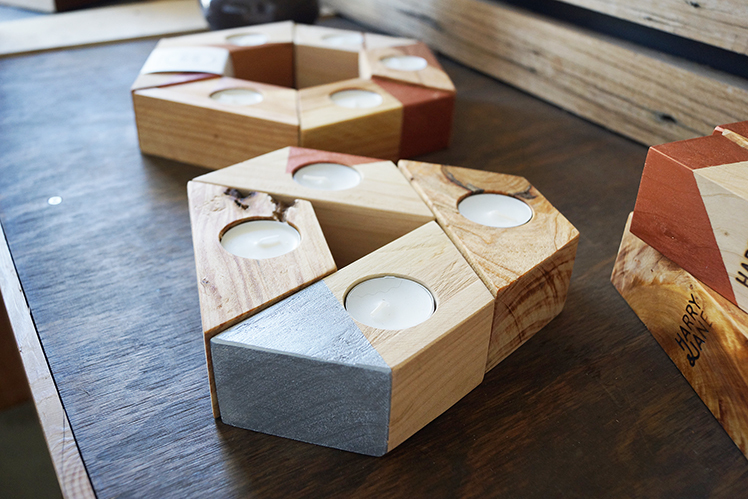 A design that can be versatile, pretty and functional in itself as tea-light holders but that can also transform into this fun and thoroughly addictive game of creating different patterns. My workshop is a part of an old nursery that faces out on to the Toolangi National Park. It’s so peaceful and you really begin to appreciate nature there. While I love my gadgets and my very modern lifestyle, seeing kangaroos, wombats and echidnas each day really inspires me to embrace natural materials, create sustainable products and try and bring a little bit of nature into the modern cosmopolitan home. When I started Harry & Jane late last year it was only a meant to be bit of a hobby but it took off a lot faster than I anticipated. I had to learn a lot of different roles very fast. That was a huge challenge but I have managed to get a lot of that under my belt now and I’m really starting to enjoy the small things like walking past our products in a shop window or getting a lovely email back from a happy customer showing us our product in its new home. I find that really rewarding. 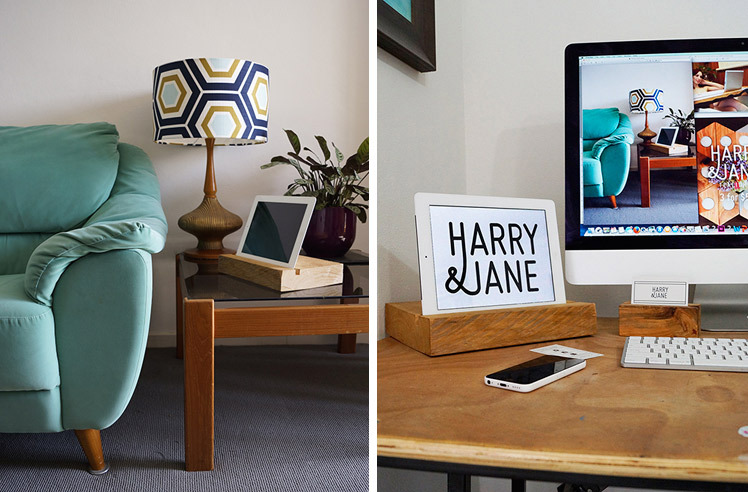 What can we expect to see from Harry and Jane at the upcoming Melbourne Markets? We have a couple of collaborative projects in the mix at the moment but I’m not allowed to really talk about them just yet. But we do have some of new pieces for the home we will be adding to the range in spring and a something a little more fun to kick off summer so keep an eye out for that!